High quality full color offset printing on multiple premium paper stock option. 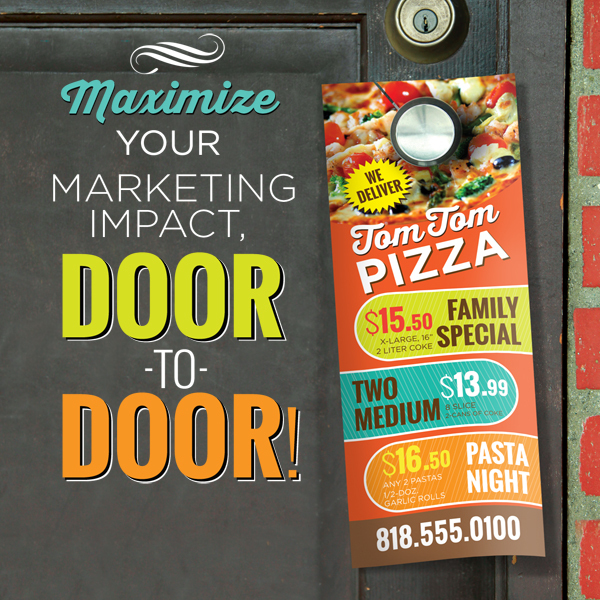 Door hangers are ideal as delivery menus. 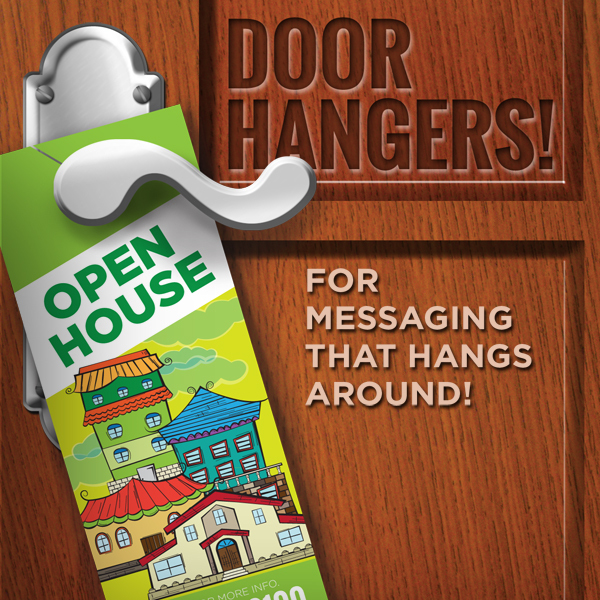 You can use door hangers as tools for advocacy campaigns, advertising, and service and product promotion as well. 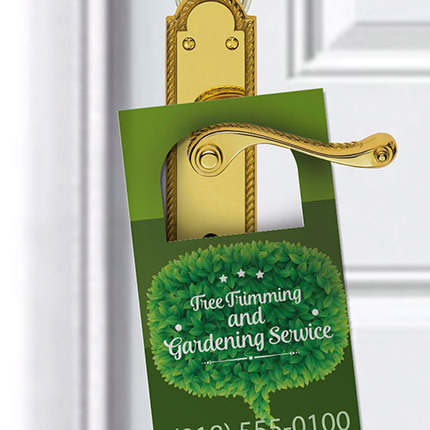 Using attractive images and text will make your door hangers hard to miss. Designs can be printed on one side only or both. 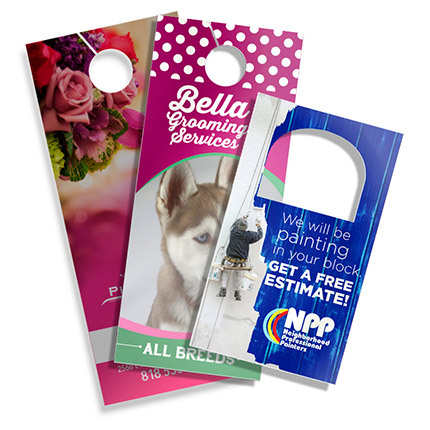 Add perforations if you want to include other materials, such as business cards, with your contact information. You could even do coupons for special offers and discounts.